after about 7 month hardworking I wants to inform you that my upcoming book about SSIS 2012 will be published about 1 month later, So I like to share the link of the book here. Pedro Perfeito one of my friends who is a SSIS expert and also SQL Server MVP in Portugal also helped me to writing this book. I want to thanks my wife who extremely supported me in this challenge, this book never be written without her support. Also I want to say my thanks to Phil Brammer specially who helped us in reviewing the book. and thanks to Pedro for being my co-author in this book. I hope all of you find this book helpful and help me and Pedro to improve the book in the future. SQL Server Integration Services (SSIS) is a leading tool in the data warehouse industry - used for performing extraction, transformation, and load operations. This book is aligned with the most common methodology associated with SSIS known as Extract Transform and Load (ETL); ETL is responsible for the extraction of data from several sources, their cleansing, customization, and loading into a central repository normally called Data Warehouse or Data Mart. Microsoft SQL Server 2012 Integration Services: An Expert Cookbook covers all the aspects of SSIS 2012 with lots of real-world scenarios to help readers understand usages of SSIS in every environment. 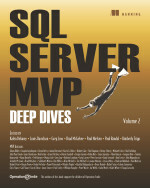 Written by two SQL Server MVPs who have in-depth knowledge of SSIS having worked with it for many years. This book starts by creating simple data transfer packages with wizards and illustrates how to create more complex data transfer packages, troubleshoot packages, make robust SSIS packages, and how to boost the performance of data consolidation with SSIS. It then covers data flow transformations and advanced transformations for data cleansing, fuzzy and term extraction in detail. The book then dives deep into making a dynamic package with the help of expressions and variables, and performance tuning and consideration. I will announce again here when the book published , but you can pre order it if you want to receive it soon. We are almost there my friend Reza!! Cheers!! Hi Pedro, Yes, thanks for your efforts on this book this BIG going to finish. Congratulation Reza, cheers. Look forward to purchase a copy.